For a business organization to succeed, it is important to focus on the training and development of its employees. Before the advent of web-based training or e-learning, training employees involved devising a training plan, hiring trainers, and getting employees together at one place. Organizations today are eager to embrace e-learning, considering the advantages it offers, to deliver training to their employees. If you are all ready to implement e-learning in your organization, following certain steps will ease your way. This blog will tell you about six crucial steps you need to follow to successfully implement e-learning in your organization. Before implementing e-learning in your organization, it is necessary to assess how ready your organization is to accept e-learning. Aspects of readiness include your employees’ ability to adapt to technological challenges and accept self-paced training. You need to ensure that your staff is motivated and disciplined to learn in a self-paced mode and respond to online instruction. For an organization, readiness includes infrastructure, specific training objectives, trainer support, and guidance and informed leadership. For this, carry out a detailed readiness analysis. According to Samantha Chapnick, creator of Research Dog’s eLearning Readiness Assessment, there are 7 important readiness factors you must consider before implementing e-learning. Psychological Readiness: Consider your employees’ attitude toward training, whether they are indifferent or believe that training is redundant to their job roles. The attitude of your top management toward e-learning should also be considered. Social Readiness: Consider how social and interactive your employees are with each other. This influences their ability to learn in a collaborative atmosphere. Environmental Readiness: These are the internal and external factors in the organization that influence e-learning. The factors you should consider include the legal issues that need to be dealt with before adopting an e-learning culture, such as policy and contract issues, intellectual property, and the language and cultural needs of learners. Human Resource Readiness: For this, you should assess the staff available with you – both internal and external. These include internal staff to train learners and the staff available with vendors who can train your employees. Also consider the number of external and internal e-learning champions who can promote the cause of e-learning. Technological Readiness: This indicates the level of skills your employees need to handle the technology that using e-learning requires. Their lack of knowledge will inhibit them from finishing or even starting courses. You will have to identify learners who lack a knowledge of these skills and train them. Financial Readiness: Consider the budget required to implement e-learning. This includes the cost of a vendor, new infrastructure or IT systems that may be required, and additional human resources required for phases such as implementation, documentation, or certification. Content Readiness: This deals with the suitability of content for conversion to e-learning modules. For this, first assess the content available with you to make a better judgment. To make a convincing case, align the objectives of training (by e-learning) with the business goals of your organization. Compare existing training practices and e-learning in terms of cost, effectiveness, and return on investment. Quantify this in terms of numbers and also highlight the less tangible and long-term benefits e-learning will bring to the business. Implementing e-learning implicates huge changes in how employees learn and organizations conduct training. It is but natural to expect resistance to such changes. These are some barriers you will face. Individual Barriers: Employees may find it difficult to move from fixed and timed classroom training to a training that is self-paced and can be accessed anytime, anywhere. They may find it difficult to adapt to new technology or take charge of their own learning. Organizational Barriers: Many organizations view e-learning as the responsibility of the Human Resources or L&D team. To get over this, everyone, including members of the top management, should embrace e-learning and promote its use. Technological Barriers: Employees who are used to face-to-face training may be reluctant to take to e-learning because of the technology involved. Other problems may include connectivity issues or lack of instructional and technical support to learners. To overcome these barriers, conducting a thorough audit that will identify, assess, and offer solutions is necessary. Such an audit will help remove barriers to e-learning implementation and create the right environment for it to succeed. 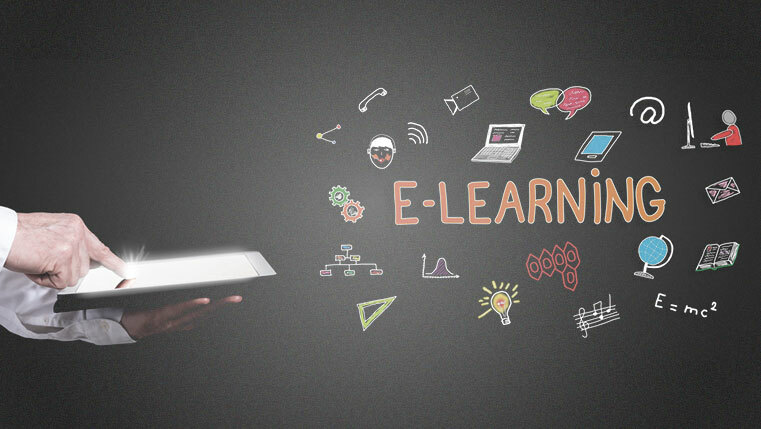 To implement e-learning, you need to decide whether to have an in-house team to build courses, buy off-the-shelf courses, or outsource your requirements to a vendor who provides customized e-learning solutions. These are the various people involved in the e-learning course development process – SMEs, project managers, instructional designers, graphic designers, developers, technology experts, and quality analysts. Knowing this will help you assess whether you have the resources. If you have a team, is there a need to train them or hire more people? How much training is required to get them up to speed? Or how much time do you have to bring in new people? Consider these aspects and also the effort and cost factor that come with hiring and maintaining an extensive in-house team for your needs. This assessment will help you decide whether you can build your course in-house, outsource the development, or simply buy an off-the-shelf course. 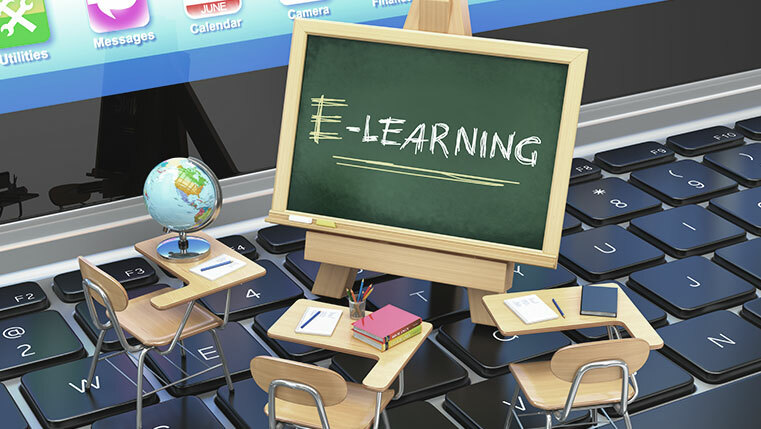 Your decision to buy or build the e-learning depends on certain factors. Choose to buy when readymade content meets your organization’s training requirements, the information is generic, and you do not have the resources to develop the course in-house. Building your own course can be the option when you have the required human resources and the time required to plan, develop, and implement the course. Or when the content is unique to your organization and the information is confidential and proprietary. The decision should be based on your learners’ needs, course requirements, and your development expertise. If you have decided to outsource your e-learning development to a custom e-learning solutions provider, you have to choose a reliable vendor. To do this, focus on some key areas of e-learning development and ask potential vendors the right questions. Ask vendors how long they have been in business and if they can provide references and samples. Ask them to explain their project management process and level of technical expertise in developing courses. For e-learning implementation, it is advisable to start with small steps. Do not make an immediate investment in hiring a team for e-learning development or authoring tools. Instead, you can outsource your e-learning development to a vendor. Even if you are outsourcing, start with small courses. For instance, you can begin with a course in compliance training which is mandatory for all employees. Invest in an open source LMS such as MOODLE or use the internal servers in your Intranet to host courses. Another alternative is to buy off-the-shelf courses. These can be hosted on the vendor’s LMS and once your employees get used to e-learning, you can invest in an LMS and customized courses to meet your training needs. Starting small will help you test the waters in e-learning and gain acceptance from the management and employees. Be smart, take care of these 6 aspects, and ensure the easy implementation of e-learning.